Bhubaneswar: The second year engineering student of College of Engineering Bhubaneswar (CEB), Mr. G. Chandrasekhar Reddy has been selected for 17th National Para Athletic Championship under the auspices of Paralympic Committee of India, schedule to be held from 31 March to April 04, 2017 at Jaipur, Rajasthan. He will participate in the shortfoot throw, javelin throw and discus throw category. For his outstanding achievement, Shir Prabhat Ranjan Mallick, Chairman, Koustav Group of Institutions, congratulate Paralympics athlete of the CEB, Mr. G. Chandrasekhar Reddy and sponsor for his journey, to bring laurels for the state. 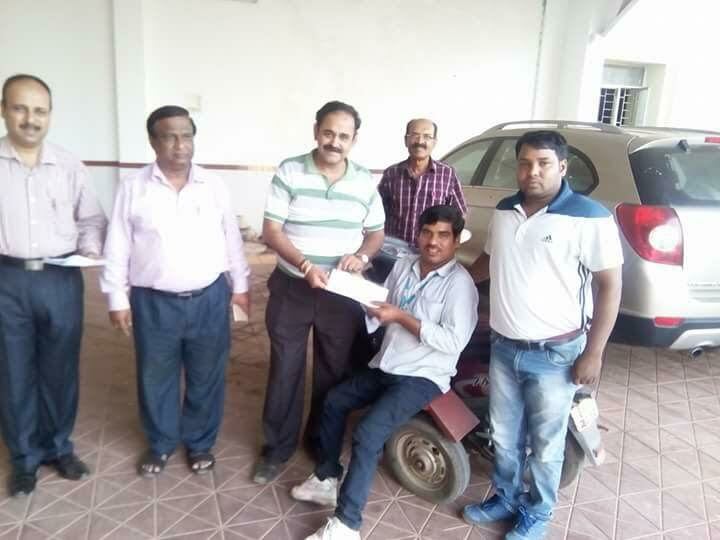 On this occasion, the principal of CEB, Dr. Subrat Kumar Mohanty, Dr. Sadasiv Dash, Register, Prof. Soumya Darshan Mohanty, In-charge Training & Placement, Saroj Kumar Panda, Sports Trainer, Debaraj Senapati, Trainer etc, congratulate on his success.